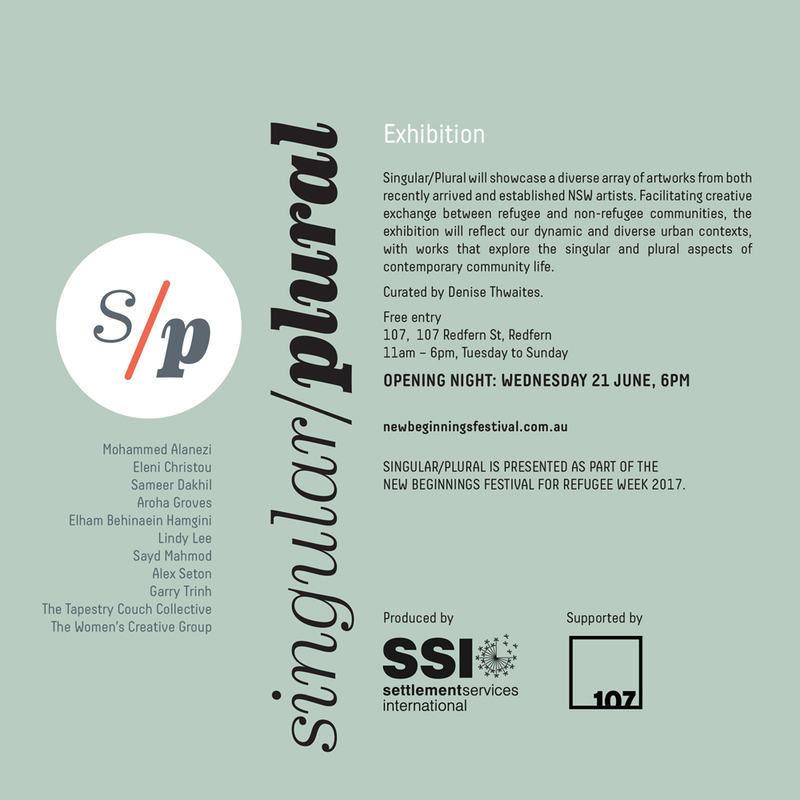 I am so honoured to be a part of Singular/ Plural during the New Beginnings for Refugee Week Festival. Join us for the opening on the 21st June at 107 Projects in Redfern or visit the exhibition before the 2nd July. Singular/Plural is part of New Beginnings: Refugee Arts & Culture Festival.